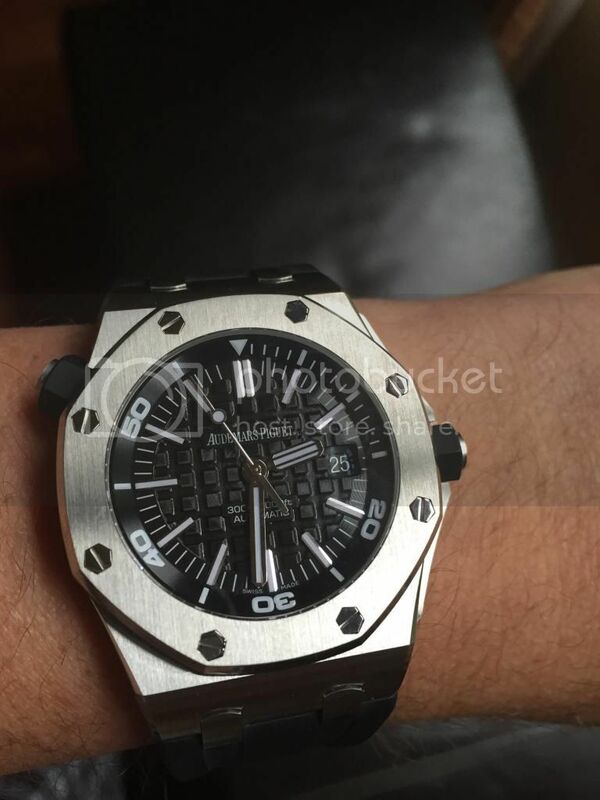 TimeZone : Audemars Piguet » Finally...the Diver! Please allow me to briefly share my story.. 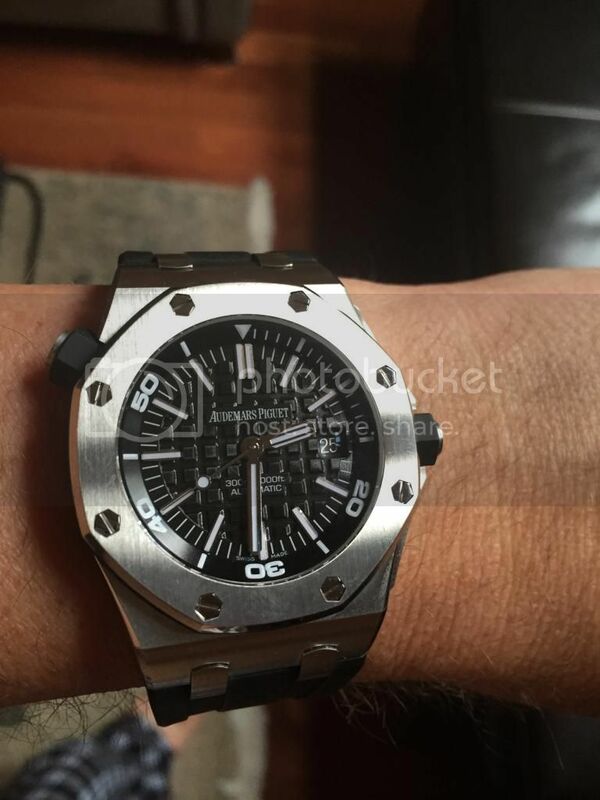 I have, over the years, been through many different watch brands. 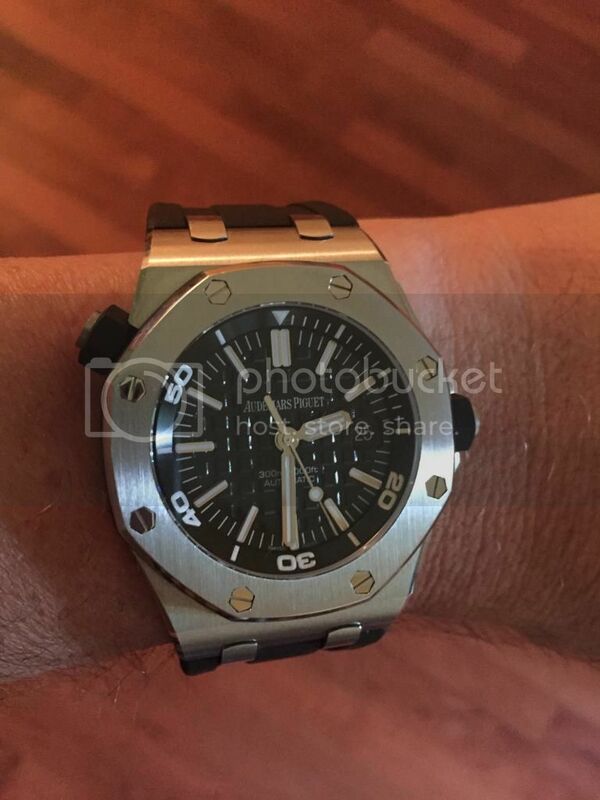 At one time I had a Royal Oak that unfortunately stopped working after 2 weeks. I received excellent service from AP, but I became disenchanted, so I moved on. I became a Panerai guy. But I recently had a rather lengthy and unpleasant experience with their repair service (some of the details are in the OP forum) so i decided to trade 2 of my PAMs and keep my 320. I ended up with a BP Bathyscaphe and the JLC MCC1, both of which are very nice, but I wasn't completely convinced. 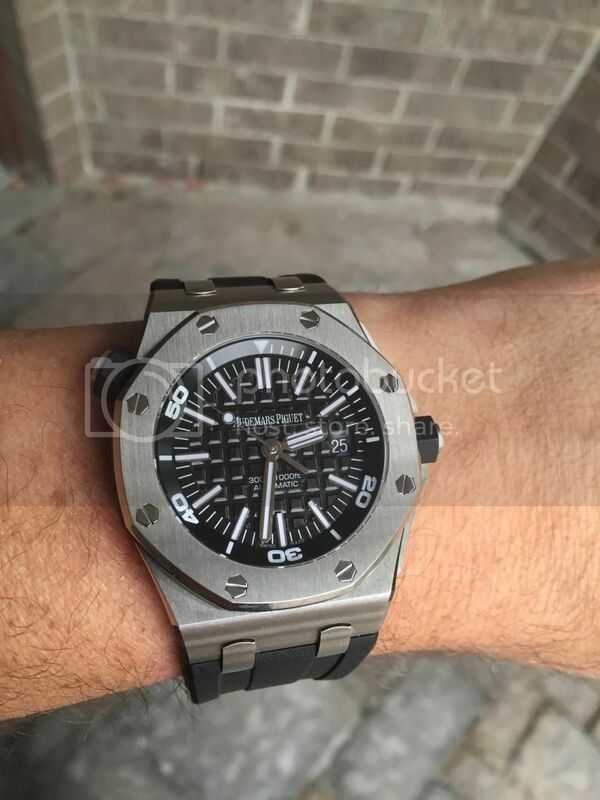 And then i was offered the chance to pick up a the ROO diver, and so here we are. I don't need to explain to anyone about the virtues of this magnificent timepiece. My only concern had been that i have had some skin reactions to other rubber straps (notably UN and IWC) but no issues with this beauty. I am beginning to explore some other strap options (The PAM in me!) but the OEM rubber is fantastic. Sorry for the long story, but I think the lesson is, when possible, don't compromise! Please enjoy these pictures, which I think capture the way the dial can change its appearance with different lighting conditions.